My work is the expression of my love affair with the human spirit in the hundreds of bronzes that are displayed in museums, and private collections in 15 countries around the world. Visitors welcome to view my work in my studio in France throughout the year. 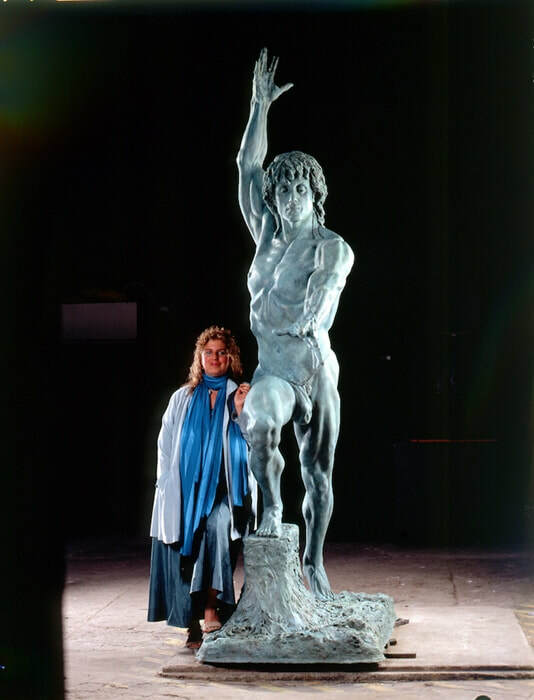 Martine Vaugel is an internationally acclaimed sculptor and winner of two awards in the International Rodin Grand Prize Monumental Figure Competition. She recently won a Bronze and then Silver Medal in the Salon Des Artistes Francais Art en Capital; and the 1st prize in the Versaille Biennalle in France. Her goal is to teach each student how to find the creativity in the world that lives in each of them, making great figure and portrait sculptures using techniques that are based on knowledge, anatomy, structure, and clay modeling techniques known as the Vaugel Sculpture Method.